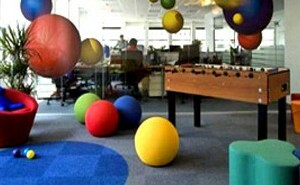 Okay London, it took a lot of restraint from us to not cover you during Olympics but we are not going to miss this! 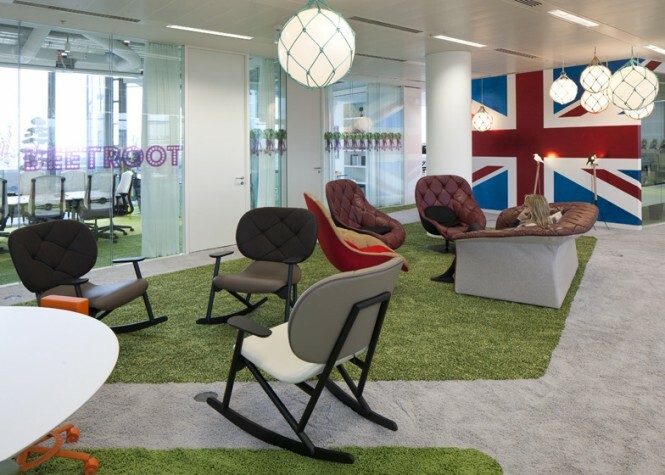 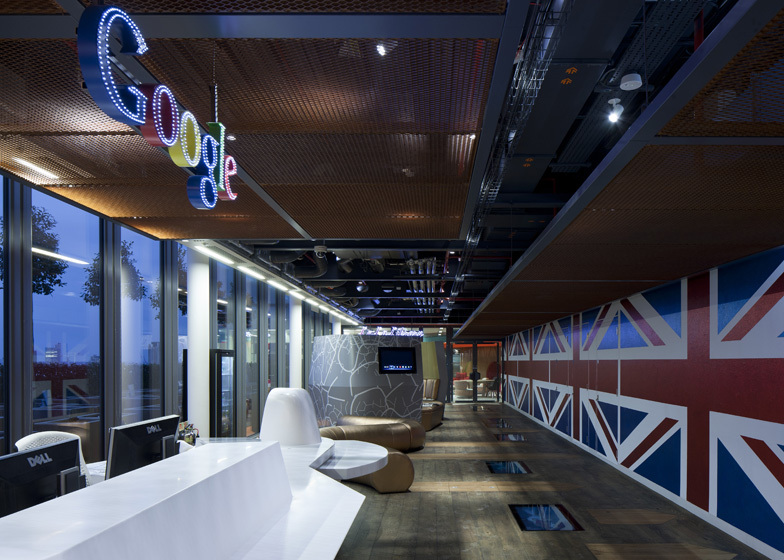 The shiny new London based Google Super HQ, designed by the talent at PENSON, is a great example of British pride with bold Union Jack flags spanning the walls. 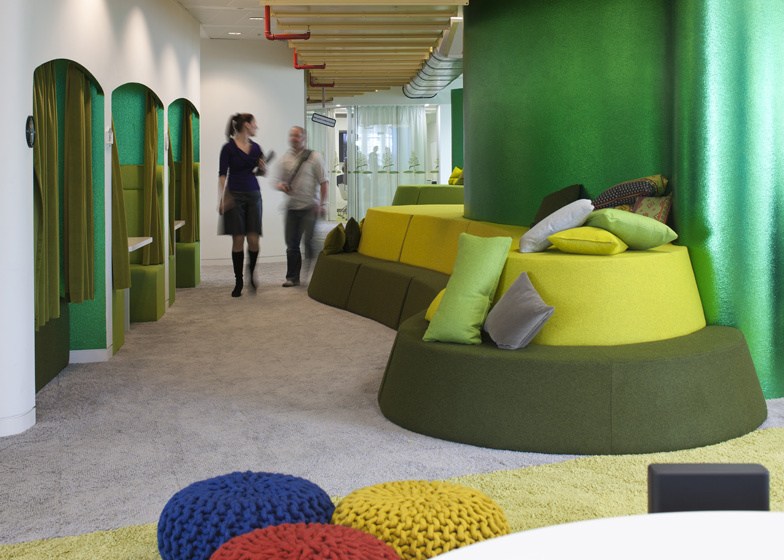 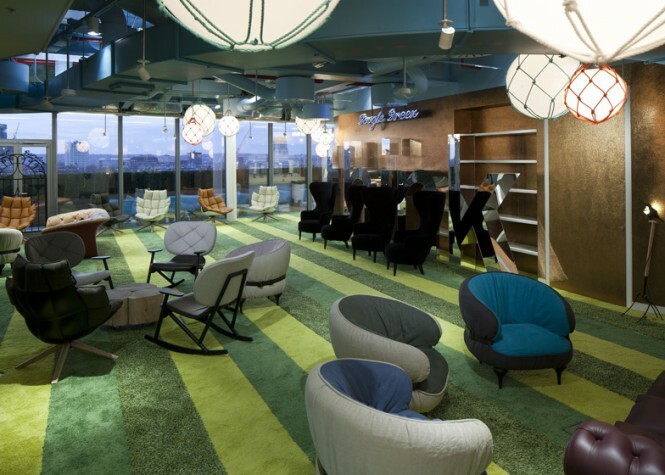 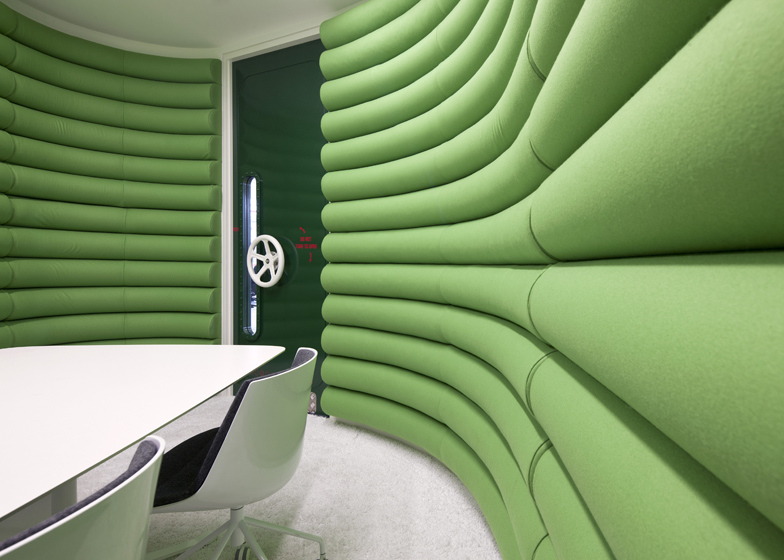 The interior communal areas have been furnished in a fun style, reminiscent of cozy living rooms, complete with high-backed armchairs, scattered pillows and woolen pouffes in the rainbow of Google corporate colors, and clusters of small rocking chairs. 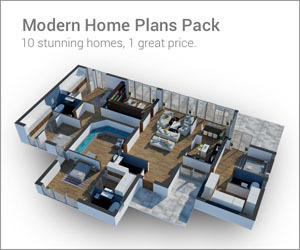 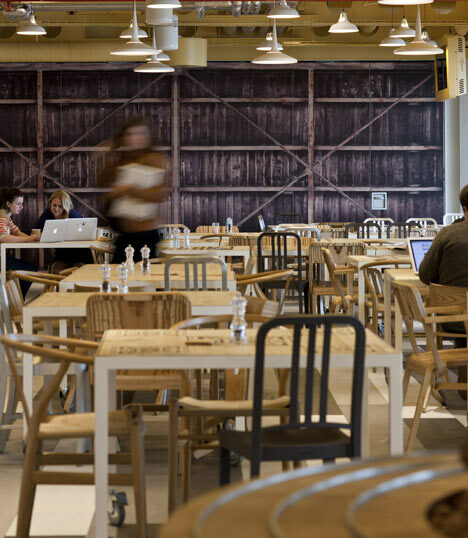 Natural timber floor boards, with Eco plywood perimeters and tooth converging floor finishes have been chosen so that the space will actually improve with age and use, developing its own patina. 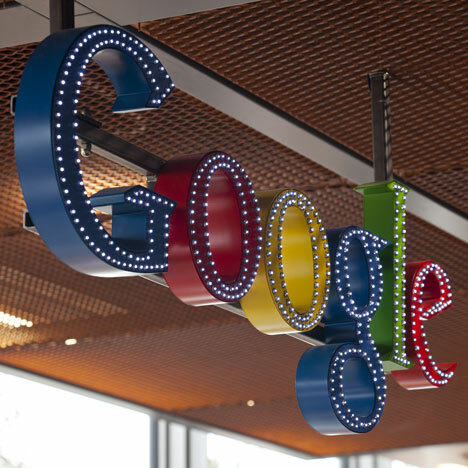 Dozens of miniature lights illuminate the outline of the colorful Google logo over the reception area. Up on the roof beyond the idea sharing zones that are hidden between hedgerows, and known as the â€œSecret Gardensâ€, balcony gardens and allotments have been set out so that Google staff are able to grow their own vegetables! 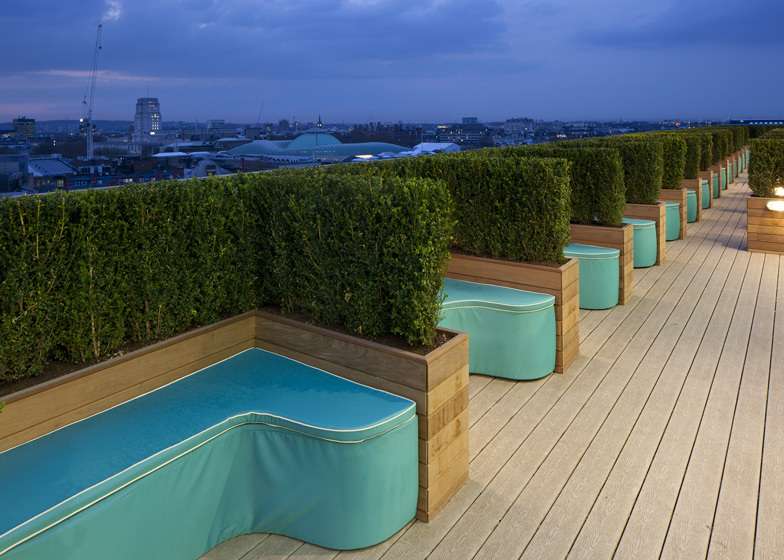 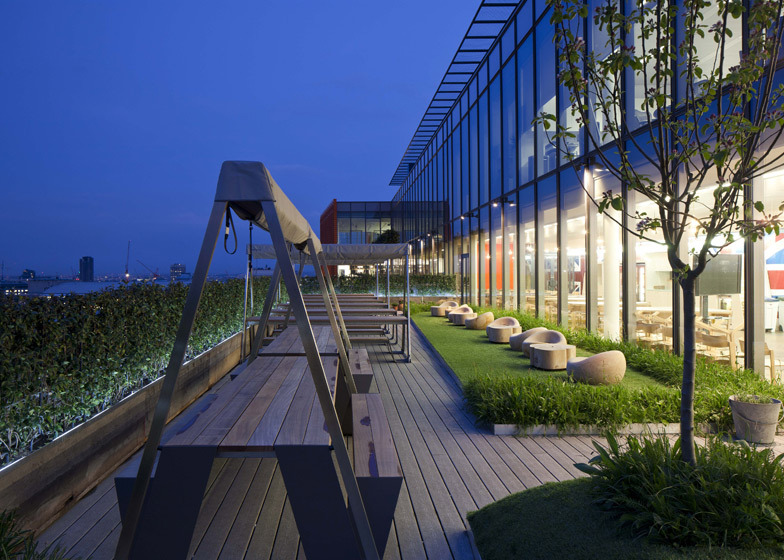 The rooftop offers inspirational panoramic views over the London cityscape.